The Bedford Area Chamber of Commerce will be reminiscing about its past in 2019. The Chamber, which formed in 1939, celebrates its 80th anniversary this year. “It’s an honor to serve such a great organization with a longstanding history in the region that has always put businesses and people first,” said Wende Gaylor, Chamber president. Each of the Chamber’s big events this year will include a theme that relates to their 80th anniversary. Those events include: “Dinner with Diamonds” Business Dinner (March 28 at Boonsboro Country Club), Regional Career & Tech Expo (April 9-10 at Liberty University), ’80s Summer Block Parties (July in Downtown Bedford and August in the Forest Square Shopping Center), “Wizard of Oz” Business Expo (Sept. 26), Career and Tech Event (Oct. 30 at Bedford Science & Technology Center). The Chamber will continue hosting its regular Networking Before Nine and Business After Hours events for members as well. The Chamber is also collaborating with Lynchburg Business and VistaGraphics, Inc. to produce the new 80th Anniversary Bedford Area Community Guide. This publication will feature all three areas of the county—Forest, Bedford and Smith Mountain Lake—with plenty of room for panoramic photos in its horizontal coffee table–style layout. 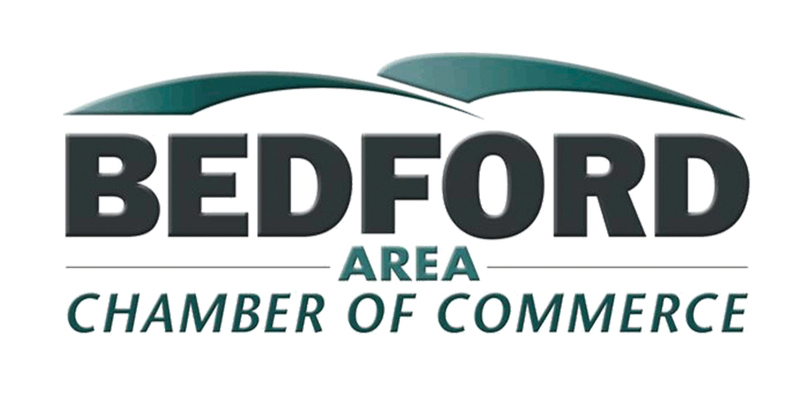 The not-so-distant future for the Chamber includes a plan to rebuild—their current headquarters is located in Downtown Bedford at 305 E Main Street—and rebrand, to give the organization a fresh marketing look. While these changes won’t fully happen in 2019, the Chamber will begin working on a capital campaign for the improvements in the fourth quarter of the year. But Gaylor is quick to point out that during this monumental year as they work toward future goals and celebrate with nostalgic events, their mission remains the same as it did 80 years ago. Learn more about the 80th anniversary and 2019 events at www.bedfordareachamber.com. The Blueprint for Opportunity released by the Lynchburg Office of Economic Development and Tourism is turning heads across the state. 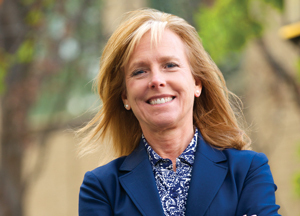 The January issue of Virginia Business included a feature article: “Defining Lynchburg: Officials look for an effective way to tell the city’s story.” In it, Marjette Upshur explains the Hill City’s goals for the future, including attracting members of “the creative class” and creating a nurturing environment for entrepreneurs. The Blueprint for Opportunity was released in September 2018. It’s a 5-year comprehensive plan built on five key priorities: growing local businesses, engaging anchor institutions, filling workforce pipelines, enhancing quality of place, and communicating Lynchburg’s story to the world. You can find the full story at VirginiaBusiness.com. Also, visit LynchburgBusinessMag.com to read our feature about the plan, “A Roadmap for Success,” from the December/January issue of Lynchburg Business. Gov. 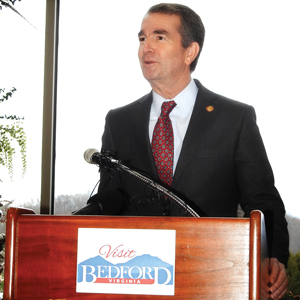 Ralph Northam chose the Bedford Welcome Center as the backdrop for a December announcement about major investments in the state’s support of broadband infrastructure. 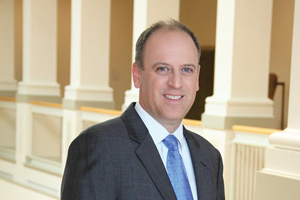 The governor’s proposal would increase funding for the Virginia Telecommunications Initiative (VATI), a program that incentivizes internet service providers to expand their service to Virginians that are unserved, to $50 million in Fiscal Year 2020. The funding would be a significant increase to the $4 million already appropriated on an annual basis. This state funding will be matched by local, federal and private funds. 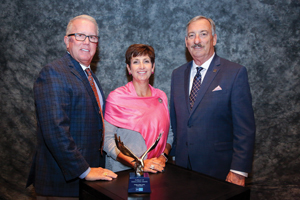 The Altavista-based Finch & Finch, Inc. Funeral & Cremation Service is one of only 159 firms around the world to receive the 2018 Pursuit of Excellence Award from the National Funeral Directors Association (NFDA). To earn this award, a participating funeral home must meet or exceed business standards set forth by the program and demonstrate proficiency in key areas of funeral service, such as compliance with state and federal regulations and providing ongoing education and professional development opportunities for staff. Participants are also required to adhere to a Pledge of Ethical Practices. “Since 1905, five generations of the Finch family have been honored and privileged to serve our community since my great-great grandfather, John T. Finch, first hung out his shingle: ‘John T. Finch, Funeral Director.’ My father, Rob, and I recognize the Pursuit of Excellence Award was accomplished due to the outstanding efforts of our entire Finch & Finch staff while serving the families of our community in a caring and professional manner. In addition, this honor would not have been achieved without the dedication of the previous generations of our family including my grandfather, Bob Finch and great-grandfather Hubert Finch,” said fifth generation funeral director and Vice President, Robert L. Finch, III, “Trey” CFSP, CCO. 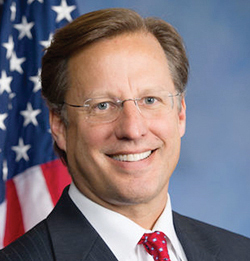 Dr. Dave Brat, formerly serving as the representative for Virginia’s 7th District, is the new dean of Liberty University’s School of Business. Brat worked in the private sector for the accounting firm Arthur Andersen and for the World Bank assisting developing world economies. Prior to that, he held a teaching position and was chairman of the economics and business department at Randolph-Macon College. “Dave’s experience in the private business sector, in higher education, and most recently as a U.S. Congressman, offer a unique blend of applied experience that brings additional value and depth to our business faculty,” said Liberty Interim Provost Dr. Scott Hicks. Brat holds a B.A. in Business Administration from Hope College, an M.Div. from Princeton Theological Seminary, and a Ph.D. in Economics from American University. After a nationwide search of candidates, the Bedford County Board of Supervisors appointed Robert Hiss as the new county administrator. Hiss comes to the position from Athens-Clarke County, Georgia where he was assistant manager for the Unified Government. Before that he served seven years as assistant county administrator for Pulaski County and eight years as county administrator in both Chattahoochee County and Meriwether County, Georgia. Bedford County’s former county administrator, Carl Boggess, retired at the end of 2018. One of the Lynchburg Regional Business Alliance’s top three legislative priorities for the 2019 Session, a funding solution for the improvement of Interstate 81, is moving forward. In early January, Gov. Ralph Northam released his proposal for developing I-81. In it, he outlined the main funding source of the “I-81 Improvement Fund” would be through tolling and an annual pass. “We applaud Gov. Northam for his leadership on this important transportation and economic development issue and look forward to working with members of the House and Senate on approval of this proposal,” said Chris Faraldi, Director of Government Relations for the Alliance.